“Capture the flag game” – is an excellent game for six or more people, which you can play at any time of the day. The primary goal of the game is to capture the enemies flag and to bring it to their own territory, without falling into the hands of the players from the other team. This game started more 70 years ago as an outdoor game and become very popular. Capture the flag game requires some kind of territory. It can be indoor or outdoor territory (the game field). The area must be divided into the two halves sharply. Those fields are known as the battle territories. Players gathering into two teams, one for each territory. Every territory has a “flag,” it can be a piece of a textile or any other object, small enough to be easily carried by the person. You can also suggest your team wearing dark clothing at night to complicate your opponents seeing your team players. The primary goal of the game is to find the way to the territory of the opposite team, grab the flag and return it to the own land. Each team has a right “to kill” (to mark) on its territory a scout from the other side. The game lasts until one of the team will grab the other team flag. Capture the flag game also can continue during a specific time. Usually, it is no more than two hours. There are а few different ways to play them with a whistle, glowing orbs, Jail Markers, Territory lights. The rules of the game are the same as in the day game. But in the playing in the night both teams do not know where the enemy flag is. Playing the game in the night with a whistle. Under the flag of each team, there is one scout (or leader) who whistling continuously with short interruptions. But scouts whistling supposes to be not very loudly – the whistle should be heard no farther than at a distance of 100-200 meters. So the whistle sounds must be pretty quiet. Scouts are searching for the “enemy’s” flag, orienting on the whistle sounds. But it will become much more interesting to play this game not with whistles, but with glowing orbs. Put on glowing ball on the ground, so that the beams of light would spread directly upwards and illuminate a little bit the flag. This is the best way to play capture the flag game in the night. I want to note one more detail. When playing the game in the night, it should be announced in advance what size will have forbidden zones where the flags will be located. It is essential that scouts would know how to get closer to the flag of the enemy to be in a temporary safe zone, inside the forbidden zone. It would be perfect if scouts could play the game a few times in the daytime so that scouts would become well aware of the rules and features of this game. If all the team players are well aware of the game details, the game will be exciting, fun and joyful to play. 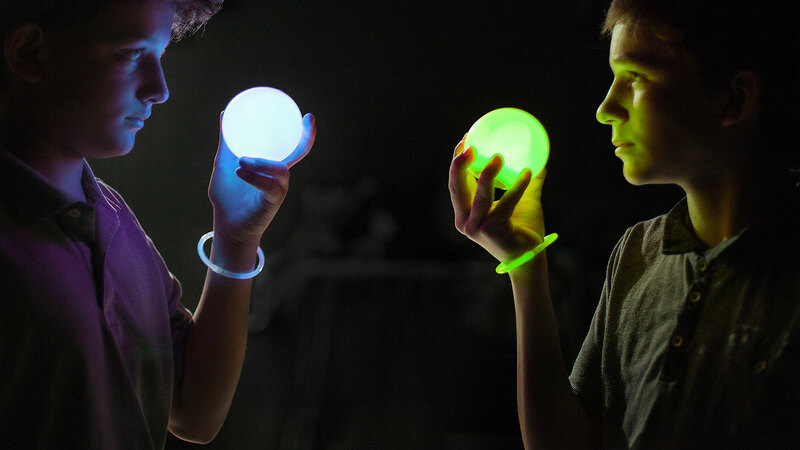 Use great accessories like glowing orbs, jail markers, territory lights, LED bracelets to make the “Capture the flag game” even more cunning and amusing.